Hey, young bloods! Over the past few months, I've noticed a huge increase in my blog stats, primarily traffic and followers. Why, you might ask? Well, there are a few changes I've been implementing that I think really helped. Here they are - and I hope some of them can help you! 1. I joined Bloglovin'. Bloglovin' is a free site where you can follow other blogs and get followers for your own blogs, as well as save and collect posts you like. The page views you get when people click on your posts via Bloglovin' also get added to your page view total! It's a great way to find new blogs and expose your content to new people and new followers. 2. I started leaving clickable links in comments. This is an excellent tutorial on how to leave clickable links to your blog whenever you comment on someone else's post. Instead of just leaving your url for someone to copy and paste into the search bar, you can leave a link for them to click on and go directly to your blog! This makes them much more likely to check out your content. 3. I got a new design. Before, my design was clean, easy-to-navigate, and fit my personality. But it didn't look ultra professional. After spending a long time perusing various template sites, I finally settled on one that I think has all of those traits above plus looks much more like a professional site. Awesome resources for free templates are ThemeXpose (where I got mine), Sora Templates, and Gooyaabi. 4. I streamlined my content. When I first started this blog, I let myself blog about whatever I wanted - dolls, books, writing, fashion, lifestyle, etc. I think this was a good strategy to get me on my feet and used to blogging in the comm, as well as make sure I didn't run out of steam early, but after a while my blog needed more focus. At the beginning of this year, I moved my doll content to another blog and began to focus more on book- and writing-related posts. I also began to follow more book blogs, which helped get my content exposed to people who I knew would be interested in it! 5. FOLLOW SPREE!!! I started really focusing on finding new blogs to follow, leave comments on (see #2), etc. A great way to do this is buttons - just go to one of your favorite blogs, find the place where they have the buttons for all the blogs they read, and go down the list and check each one out! You don't have to follow; even just leaving a few thoughtful comments with a clickable link will do a lot. Let's chat! What are some tips and tricks you've found to get increased stats? Share in the comments - let's help each other out! i have noticed the more professional theme and i do think getting a bloglovin may help me as well as doing the cicky link thing for comments. i've been trying to get 5 new folowers a month and it's been going pretty well. i'm so happy for you! you and your blog are great. :) these tips are really helpful! Thanks for the tips, I've been thinking about doing a new design on my blog too! I'm glad you liked it! Good luck with Bloglovin'! The design of your blog is gorgeous. I try to keep mine easy-to-look-at and professional but I still think it needs some tweaking. Thanks for sharing these tips! And congrats on your blogging success!! :) This post was super helpful, I've always wondered how to leave those little clickable links in a comment, so thank you so much for including a tutorial! 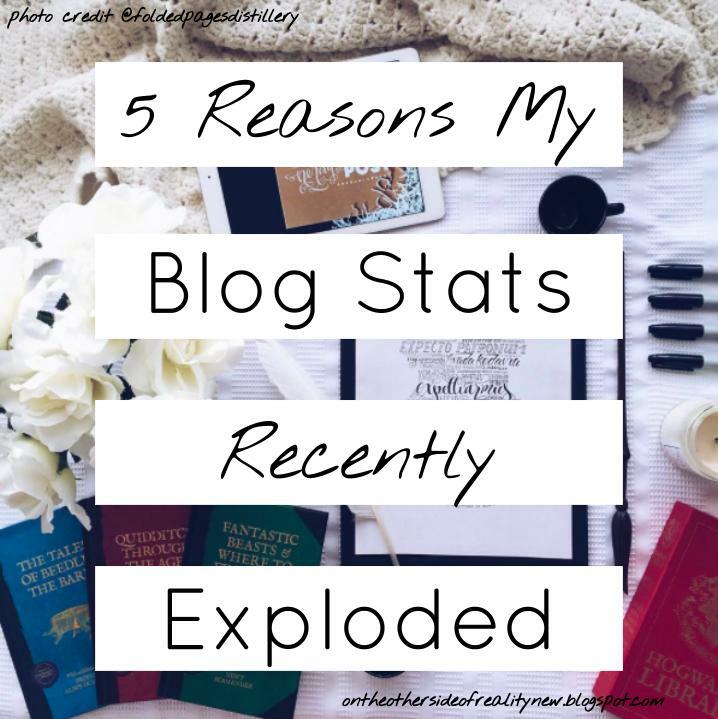 Yay for blog stats exploding!!! 🎉 🎉 Congrats to you for networking! I always think that networking is an amazing thing to get more followers and views and I honestly think what we put out will come back. ;D Yay karma. 😂 Keep up the awesomeness Ellie!! I love Bloglovin! And I have noticed that I get more comments on my blog when I make an effort to visit new blogs. It's a really great tool! I had to delete that comment of my blog because I thought it wouldn't work but it did. And also, have you read All The bright places by jennifer niven? If so would you recommend it?